Worked for the Prudential Assurance Company, becoming Area Superintendent. Served as a Corporal in the RAF during the Second World War. Represented Astley Bridge Ward from 1960. Alderman 1969. Chairman of the Lighting Committee. 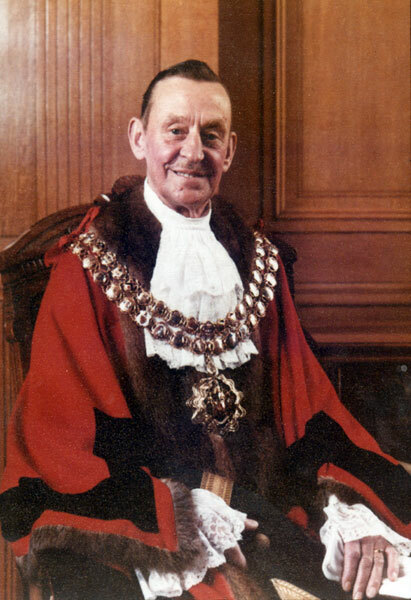 He retired from Council in 1983 and was made an Honorary Alderman in the same year. Made first Honorary Life Vice-president of Westhoughton Show in 1983. Anglican - he worshipped at St Paul's Church, Astley Bridge where he was Churchwarden for many years. His wife, Edith, was Mayoress. 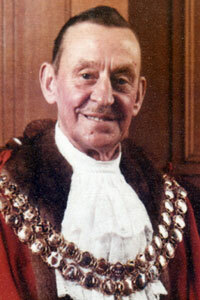 Formal portrait of Adam Hibbert as Mayor of Bolton.